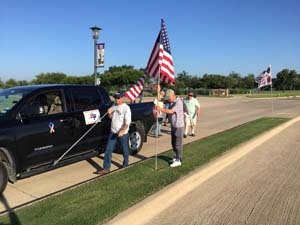 The very first 180 U.S. flag median display at Robson Ranch occured on Veterans Day, May 19, 2007. To provide volunteers who will help place, recover and maintain the 180+ flags in the median of Ed Robson Blvd on designated flag holidays. 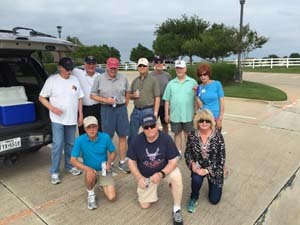 This opportunity is open to any interested Robson Ranch resident who would like to participate. 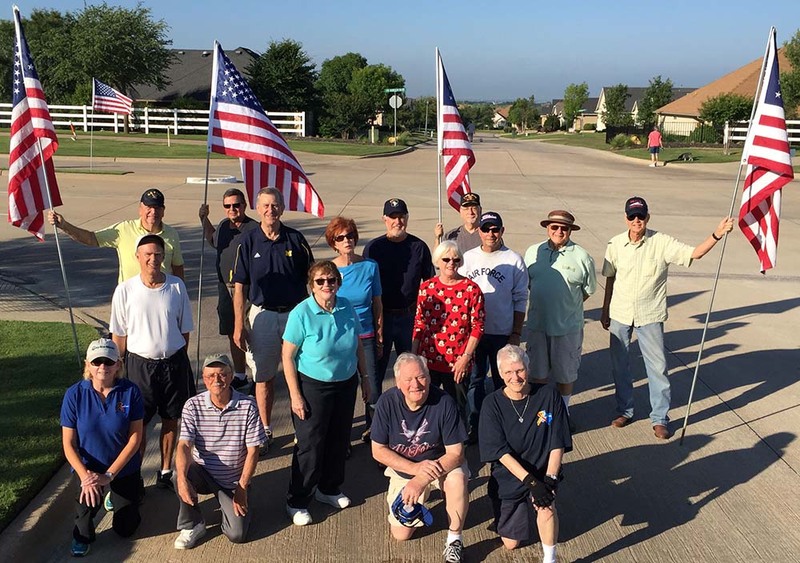 To provide, install and maintain a United States flag for all interested Robson Ranch residents. The flag symbolizes our patriotism, community spirit and support for the wonderful military men and women who serve and sacrifice so much for all of us. 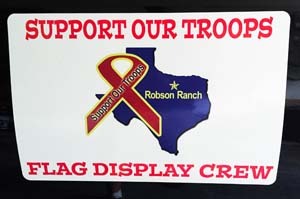 Robson Residents who wish to display a curbside U.S. flag like the one shown above may purchase one from the Robson Ranch Support Our Troops organization. SOT has a U.S. 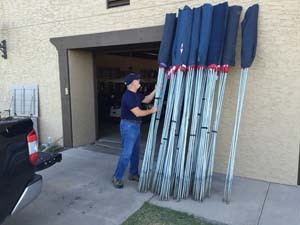 Flag kit that we will install in your yard before the next flag flying day. 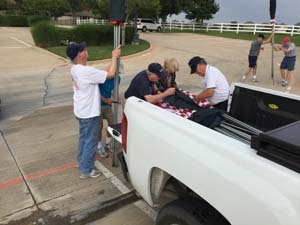 For a $40.00 donation your kit includes a 3'X5' flag, a ten-foot steel pole, and an in-ground pvc sleeve. 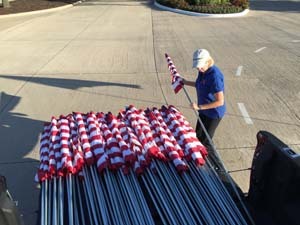 The sleeve allows for easy placement of your flag after sunrise and recovery of the flag at sundown. 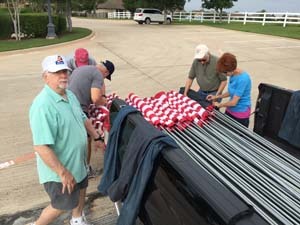 Friendly SOT members will install your flag kit for you. 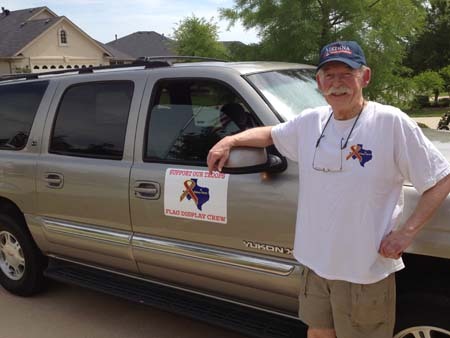 Our ongoing fundraiser will help you show your patriotism, your community spirit and your support for our troops all at the same time. $25.00 of your donation is tax deductible. 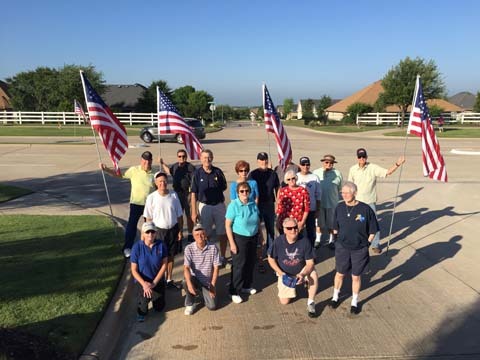 Robson Ranch Resident's who would like to have a flag installed please visit the Robson Ranch HOA website and login to the "resident only" area. In the "resident only" area select the "Activities/Announcements" link at the top of the page. Select the "Clubs" link in the drop down menu. 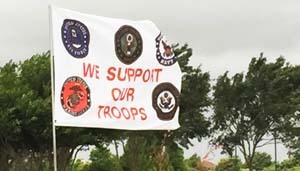 Select "Support Our Troops" from the list of Clubs and click on it. 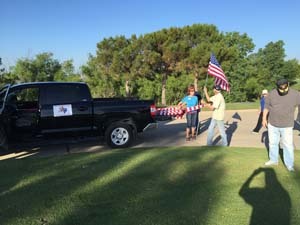 The second item listed is the "US flag installation for Robson Residents." 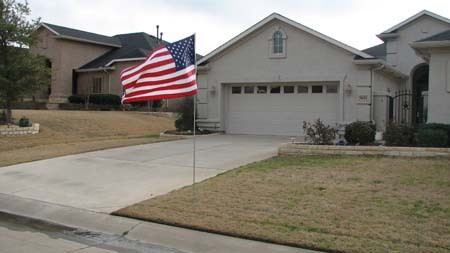 Click on that link for contact info to have a curbside flag installed. (Please see the suggested schedule for U.S. flag display days below). 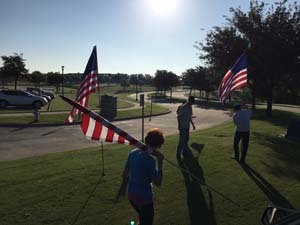 *Flag etiquette: The U.S. curbside flag may only be flown from sunup to sundown on national flag days.